Open Wednesday-Saturday 10 am - 5 pm. Sunday 1-5 pm. Closed Mondays and Tuesdays. Free environmental education programs are being scheduled monthly at the Lilly Nature Center. In addition, programs, which can include a visit to the center, can be scheduled for your group. For information about programs and schedules please call Tippecanoe County Naturalist, Mary Cutler at 765-567-2993. For Rental Information contact Morton Center at 765-775-5120. 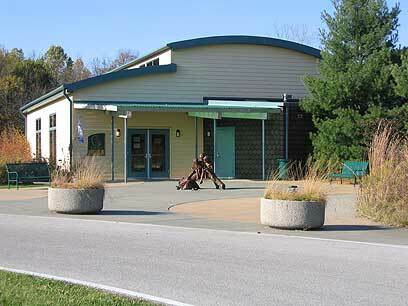 During open hours, you may also reach the Nature Center information desk at 765-497-7158. Lilly Nature Center in Celery Bog Nature Area is located along Lindberg Road in West Lafayette. Celery Bog Nature Center contains approximately 185 acres of wetlands, adjacent woods and fields. It provides an excellent field trip destination where many interdisciplinary topics can be studied by groups of all ages.